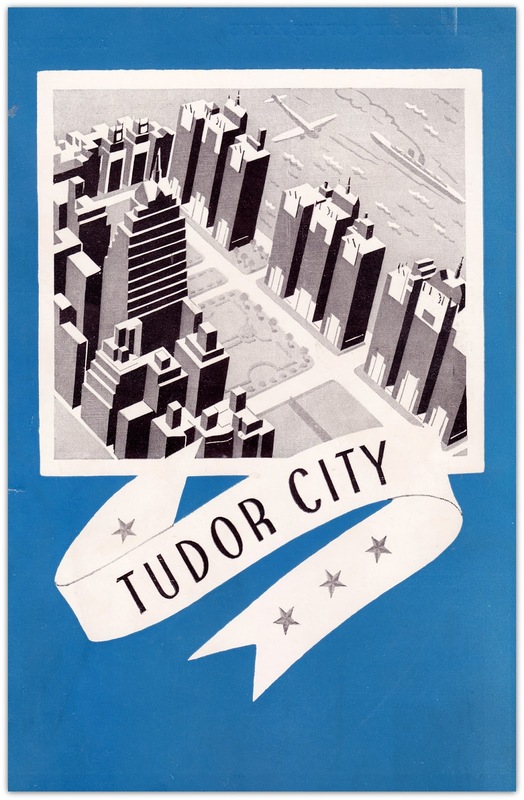 The Tudor City Coffee House (1928-1945) was just what it sounded like: a casual, three-meal-a-day outlet serving well-priced eats. Set in No. 25, Tudor Tower, it was a more informal alternative to the fancier dining rooms in Prospect and Woodstock Towers. The decor mixed linoleum and stained-glass windows with Colonial-style furniture. The problem of luncheon, solved. Detail of 1930 newspaper ad. A 1941 Coffee House menu (at left and below) offers classic American dishes that would not be out of place in contemporary restaurants -- spare ribs, scallops, and rack of lamb. Other options have not stood the test of time, like braised celery, parfait africaine, and shirred eggs with goose livers. The tabs were reasonable by contemporary standards. Below, some 1941 prices and their modern-day equivalent. 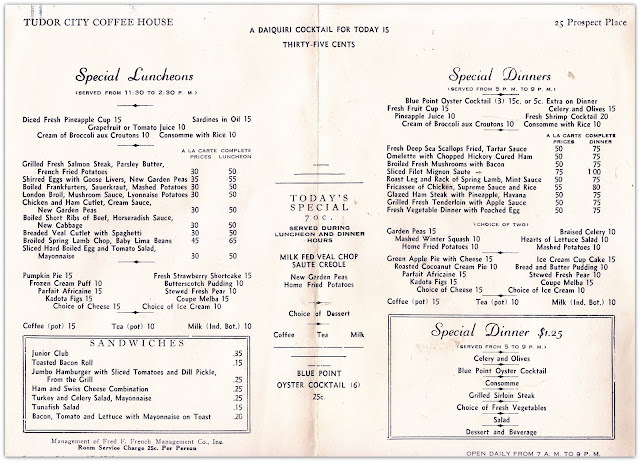 Despite a comfort food menu and comfortable pricing, the Coffee House struggled throughout the '30s -- it was the Depression, after all. Then came a world war, which further reduced patronage. 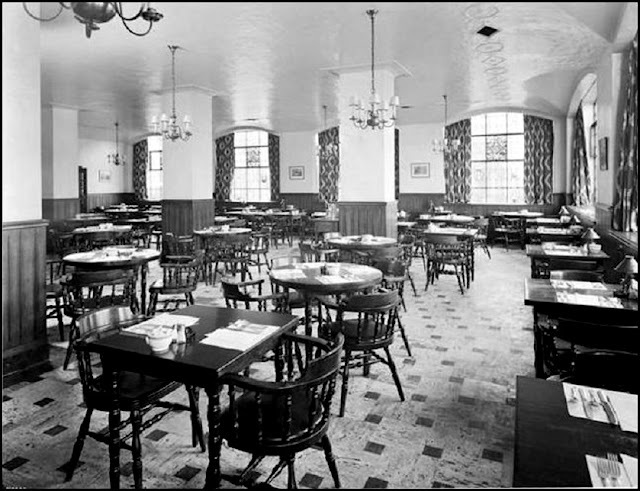 Around 1943, it stopped serving breakfast, and then closed altogether in 1945. The space was converted into the French Company's rental office for Tudor City, and after the complex went co-op, became the headquarters of Tudor Realty. Today, it's an outlet of the Preschool of America chain, a day care center for children under the age of seven.